Posture and postural correction is falling out of fashion, mainly due to there being no credible link between posture and pain. But unless you have done some more advanced qualifications, pain doesn’t fall into the scope of practice for the average PT anyway. However, posture can be a fantastic tool for helping people with their self esteem and body image, and getting a good understanding of it can really help with our understanding of the body and movement. That doesn’t mean we should forget about posture – there is still a lot of benefit to working with someone’s posture. Just be aware that we are no longer too sure whether we should be chasing the perfect neutral spine. Forget about the rhomboids and scapula retraction for kyphosis. Go back to your basic anatomy, kyphosis is fundamentally flexion of the spine, the rhomboids are not natural extensors of the spine. Yes, the shoulders may be ‘rounded’. 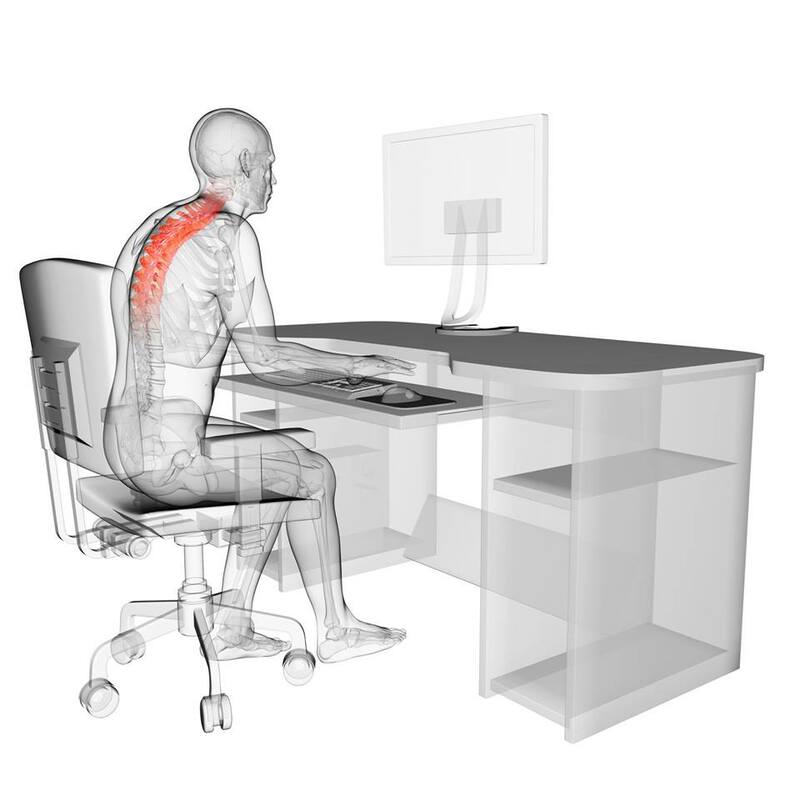 But if you change the spinal position the ‘rounded’ shoulders will often take care of themselves. However the chest muscles may still be tight/short/hypertonic etc. (whatever term you like to use). So there may well be some benefit for working on chest mobility/flexibility/ROM (again whichever term you like to use). Forget about the rhomboids – did I mention this already? Focussing on scapula retraction to correct shoulder position will just add more tension into the system. Work on the spinal extensors. As kyphosis is fundamentally flexion of the (thoracic) spine, it is important to work on the spinal extensors. Don’t forget about your muscle fibre types. If you want to change someone’s static posture then you need to bias your exercise selection towards their slow twitch muscle fibres. For dynamic postural changes you may (depending on what you are looking to achieve) want to bias your exercises towards fast twitch fibres. Be warned that any position (even a so called good or ‘neutral’ position) can be problematic if that is the only position we are able to adopt. Being able to move in and out of postures is almost certainly more important that the postures themselves. Forget about the rhomboids – have I mentioned this? If you try and correct someone’s postural position using their rhomboids you run the risk of reducing their upward scapula rotation. This can make it difficult for people to get into end range shoulder flexion – we don’t want this. Spinal flexors! We often think tight chest muscles when we think kyphosis – but remember it is thoracic flexion we are talking about. The main trunk flexor is the rectus abdominis – this may be tight/short/restricted (insert whichever term you prefer to use here!). Forget about the rhomboids (you may be starting to get the idea that I am not a fan of correcting shoulder position with these). Kyphotic shoulders are rarely (if ever) protracted, they are most commonly anteriorly tilted and the rhomboids cannot correct anterior shoulder tilt. 1. Is the patient able to move out of their kyphotic position (i.e. are there physical restrictions that prevent them adopting a new position). If they aren’t able to move out of a kyphotic position then my priority is to find a way for them to be able to do this. 2. Does the patient have the strength to move out of a kyphotic position. If not then I develop strength. 3. Does the patient have the endurance to hold a position other than their kyphotic posture. If not then I work on their endurance. 4. Can the patient maintain a less kyphotic position and remain relaxed. This may be lower in priority in terms of the order I address things in, but overall for me it is of higher importance. Tense, braced positions typically cause more problems than they solve. Once I have addressed all these clinical priorities I then try and make sure that the patient continues to use a varied range of different postures as we now know that no one posture is the correct or normal posture. I hope this helps anyone who interested in this area.